Every year in the United States alone, approximately 11 million tons of asphalt shingle waste is generated. Sadly, up until recently, all that waste had to be taken to the landfill and dumped, taking up space and unable to be used again. The reason for this was that up until the 80’s shingles contained traces of asbestos, making any refinement a potentially toxic process. Given the fact that an asphalt shingle roof can last 20 years or more, it wasn’t until recently that we could conceive of taking waste material and recycling it for further use. So yes, shingles can be recycled. Recycling shingles is the next frontier in being environmentally responsible about the waste we create to keep roof’s over our heads. Unfortunately, the problem has been addressed but not solved. Many in the roofing industry maintain a “this is how it’s always been done” mindset, so rather than taking their waste to the recycling plant, the majority of it is still being hauled off to the landfill, just as it always has. However, we at Peak Roofing pride ourselves in being on the front end of trends such as recycling shingles so that we can look after not only our customers but our community as well. That’s why we take our waste material to Country Wide Recycling. Through this partnership we are able to simultaneously reduce the amount of shingles occupying the landfill AND turn these materials into useful products down the road. So what can recycled shingles be turned into? I’m glad you asked! 😉 An exhaustive study was conducted on the environmental impacts of recycling shingles which concluded that the best uses for recycled shingles was for cold patch to repair roads, aggregate material in road construction wherein shingles are ground into fine pieces and spread on gravel roads to reduce dust and the manufacturing of new shingles. Interestingly, the study also found that since asphalt is comprised of fossil fuels, shingles can also be turned directly into energy as well! With approximately 80% of homes in North America being covered by asphalt shingles, the importance of ensuring we are recycling shingles in an environmentally friendly way is of paramount importance. 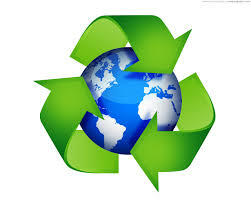 Peak Roofing is proud to do our part to ensure that our earth remains as it should be: GREEN!